Guest Speaker Justin Anderson of the Philadelphia 76ers | "Where Teaching, Development and Competition Come Together"
Justin Anderson is a professional basketball player for the Philadelphia 76ers. He played college basketball for the Virginia Cavaliers before being selected with the 21st overall pick in the 2015 NBA draft by the Mavericks. 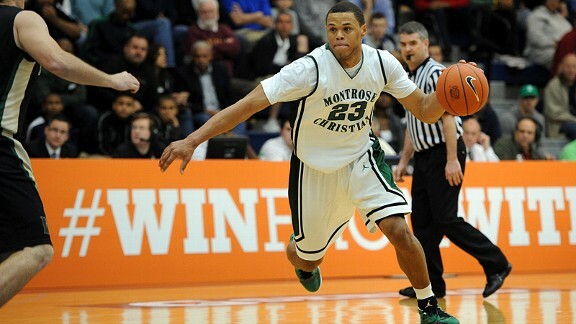 Coach Vincent was one of Justin Anderson’s Basketball coaches when he attended Montrose Christian School. At Montrose Justin averaged 17.8 points, 4.7 rebounds, 3.0 assists, 1.8 steals and 1.6 blocks per game as a senior and won several awards, among them, the Gatorade Maryland Boys Basketball Player of the Year. He was a Top 100 Recruit by ESPN and Rivals.com.